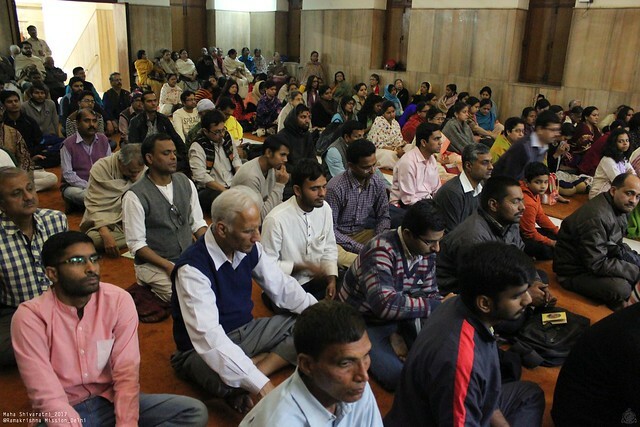 The Ramakrishna Mission, New Delhi, celebrated the Maha Shivaratri on 24th February, 2017 with whole-night Special Puja starting from 7.30 p.m. on 24th, till 5.30 a.m. on 25th February 2017. 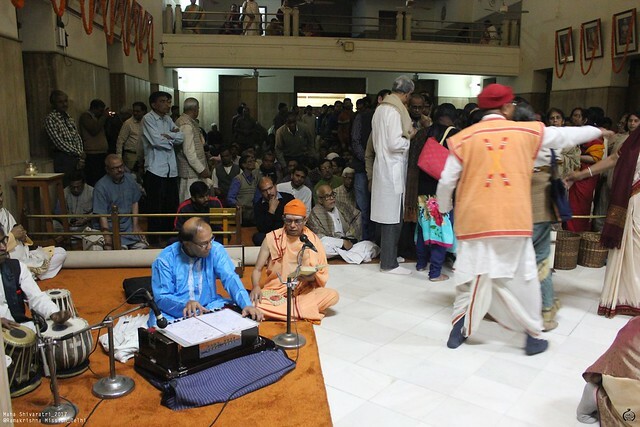 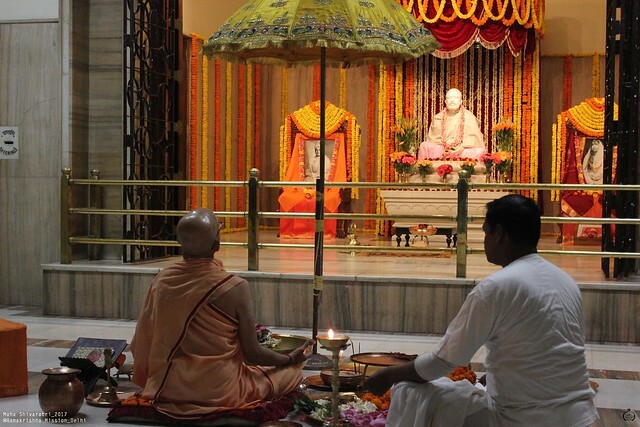 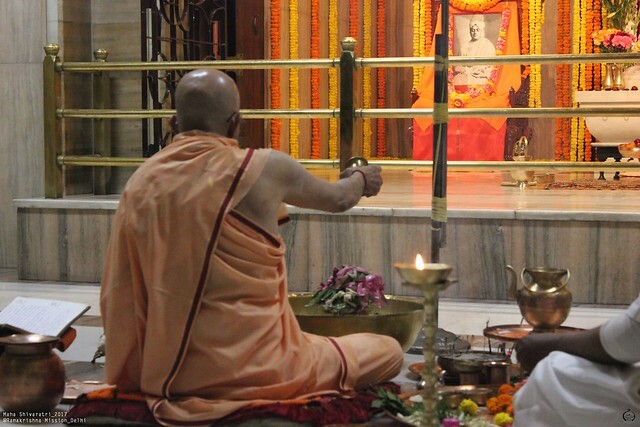 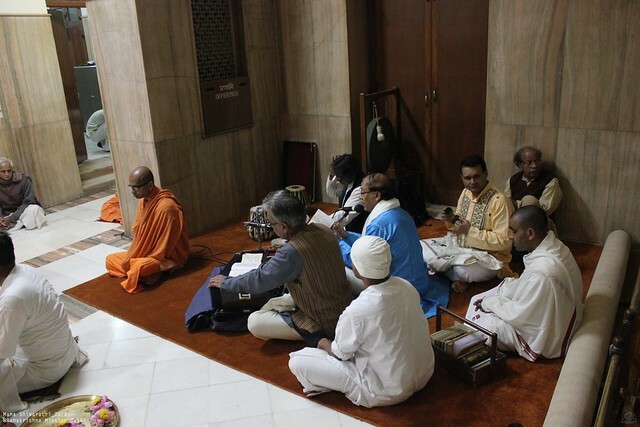 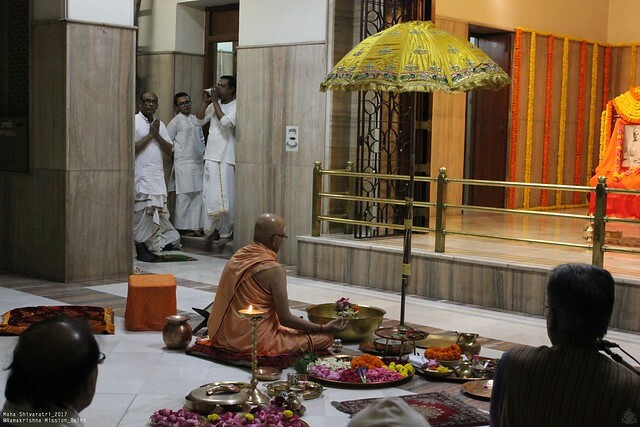 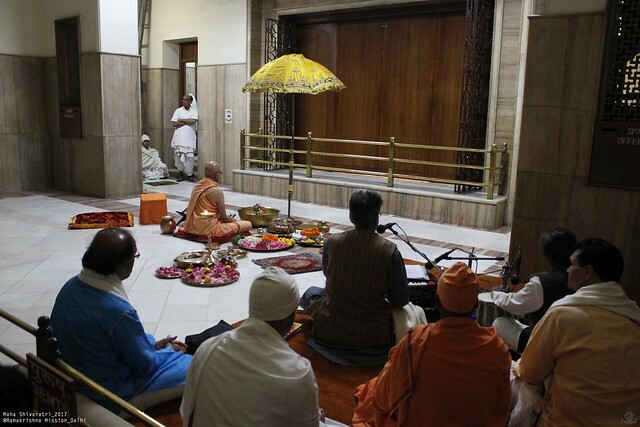 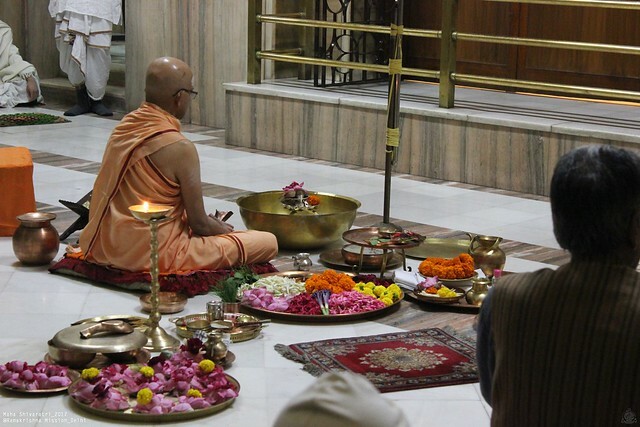 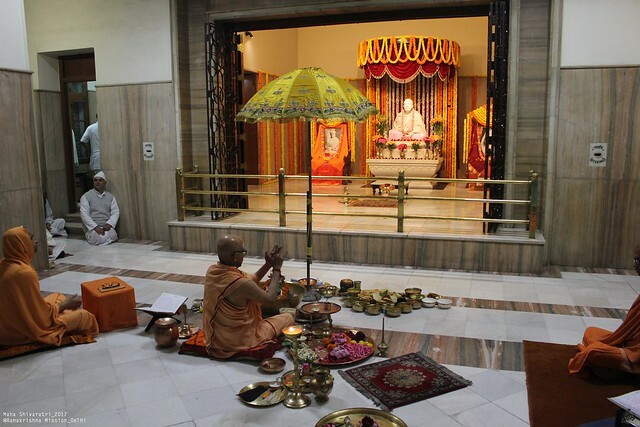 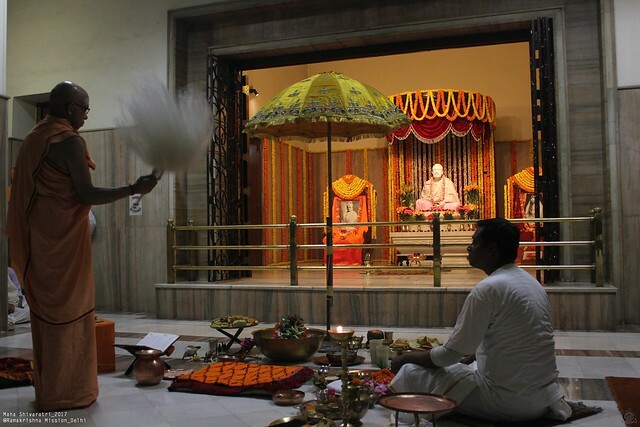 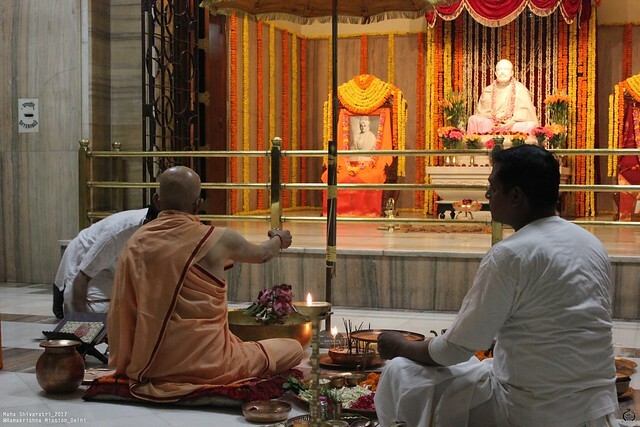 Revered Swami Shantatmanandaji Maharaj, Secretary, Ramakrishna Mission, New Delhi, performed the Puja whole night, assisted by Swami Amritapurnanandaji Maharaj and also a few volunteers. 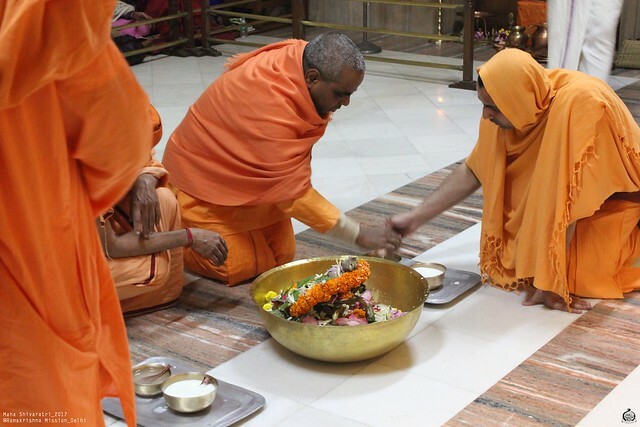 The Puja was performed on the Baneswar Shiva Linga, which was kept on a silver plate in a brass vessel in front of the Garbha Mandir covered with a beautiful yellow umbrella over Shiva Linga. 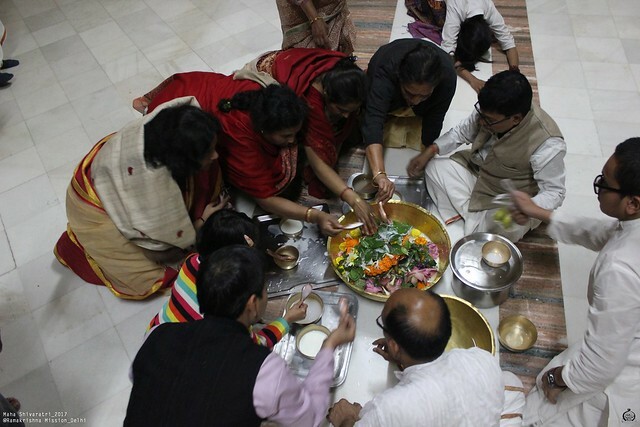 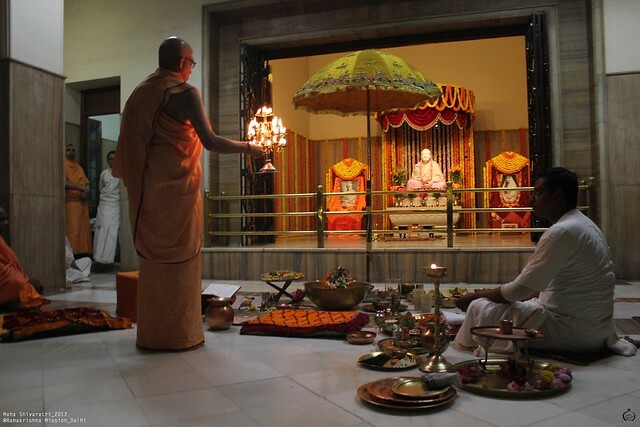 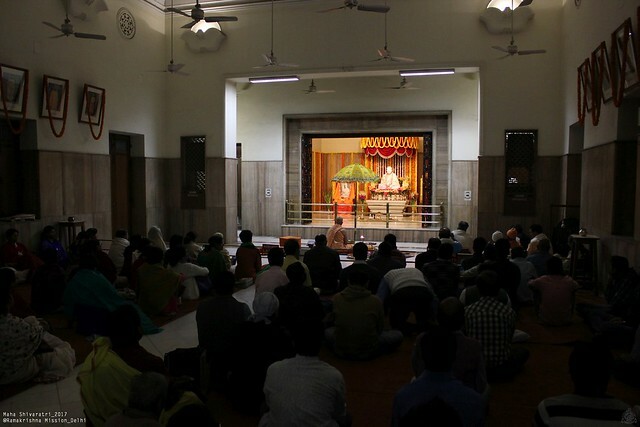 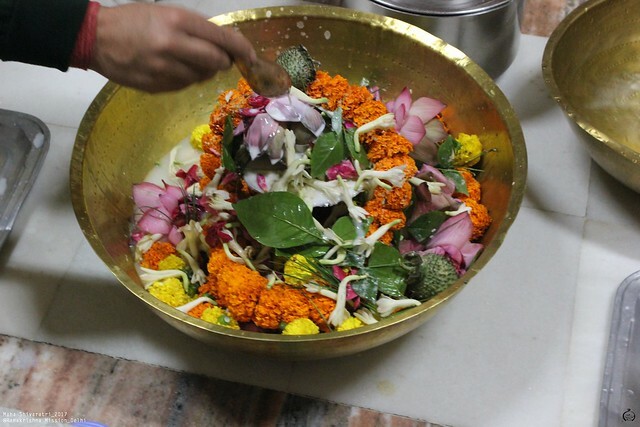 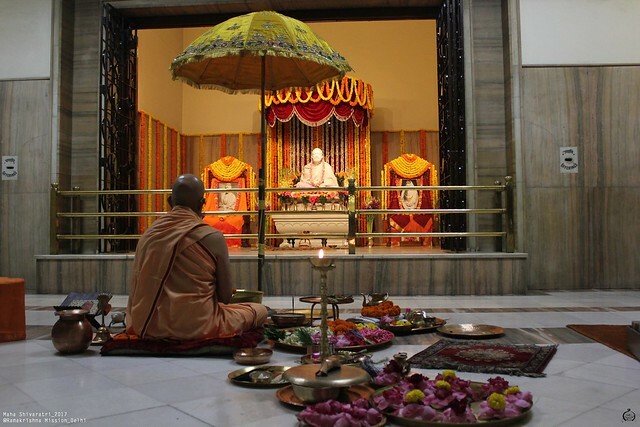 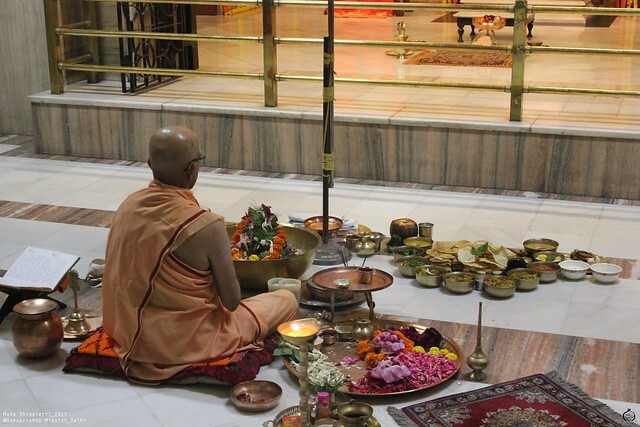 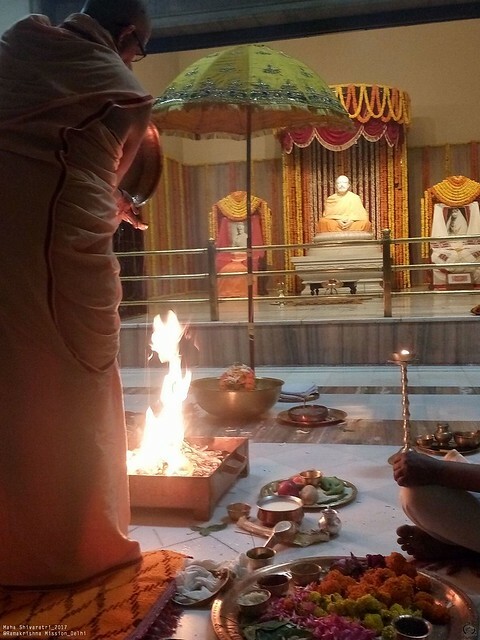 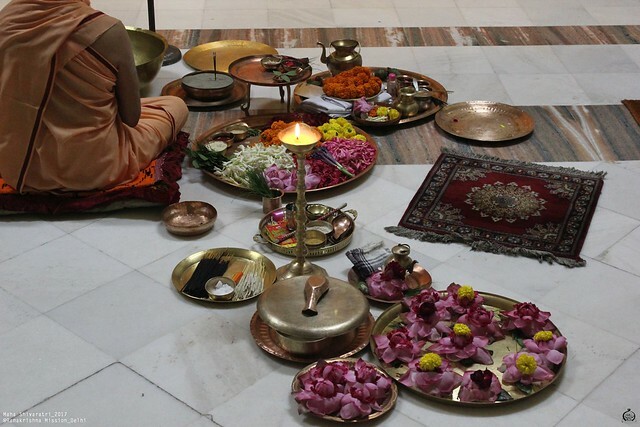 The Puja was performed four times during the four Prahars of the night. 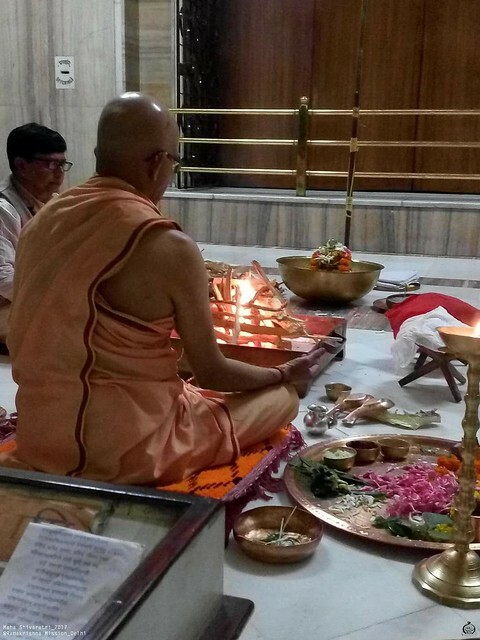 This was followed by Homa, Purnahuti and Mangalarati from 04:30 a.m. onwards, and everything was completed by 5.30 a.m. on 25th Feb, 2017. 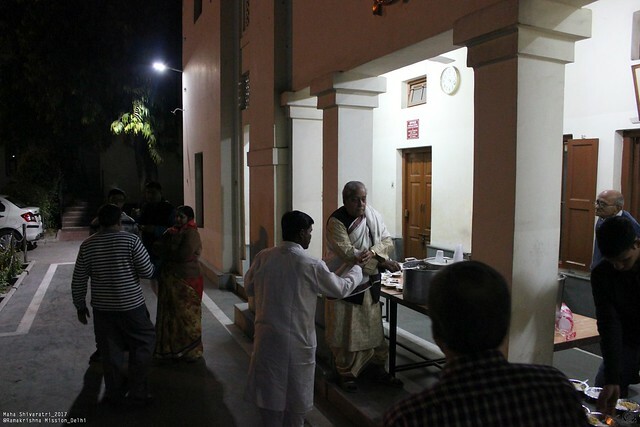 Cooked Prasad was distributed to devotees after the puja.